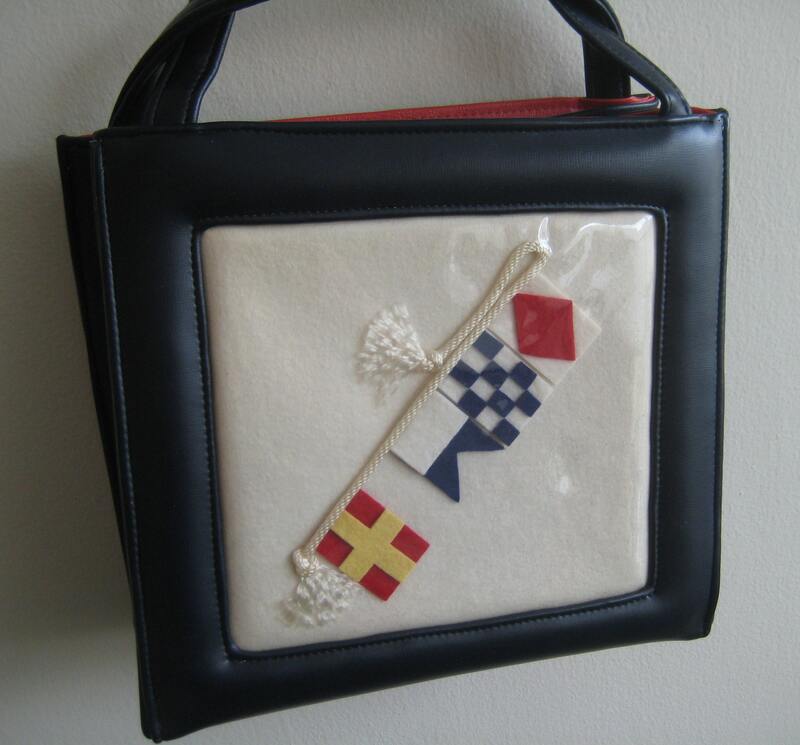 Too adorable nautical look tote/handbag by Owen Originals, Inc of Fort Lauderdale, Florida. 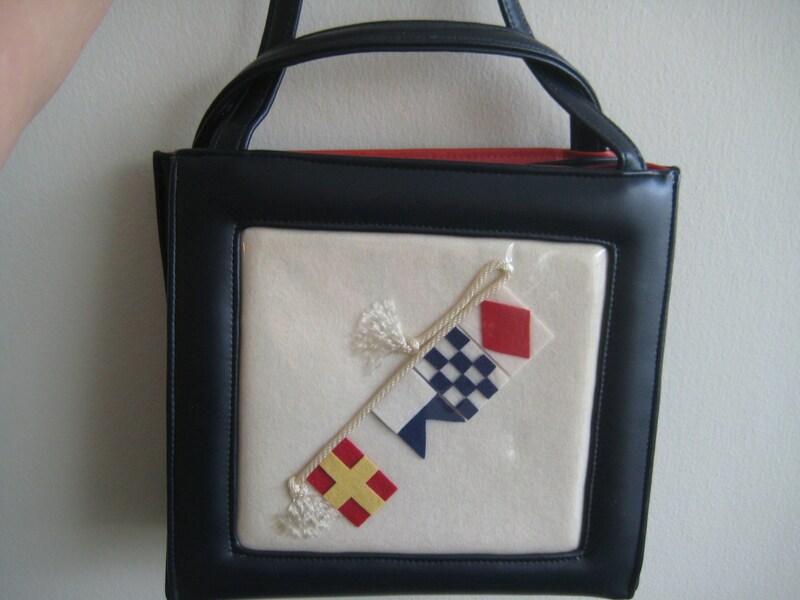 Dark blue vinyl body with windowpane panel on the front with a white felt background and maritime pennant design. 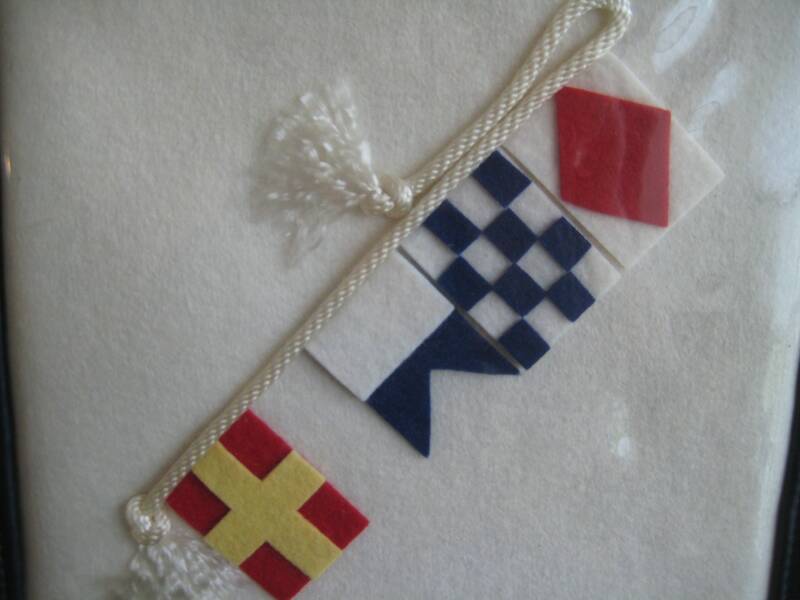 The pennants randomly stand for "RANF." Very cute! The handles are blue vinyl at different lengths. 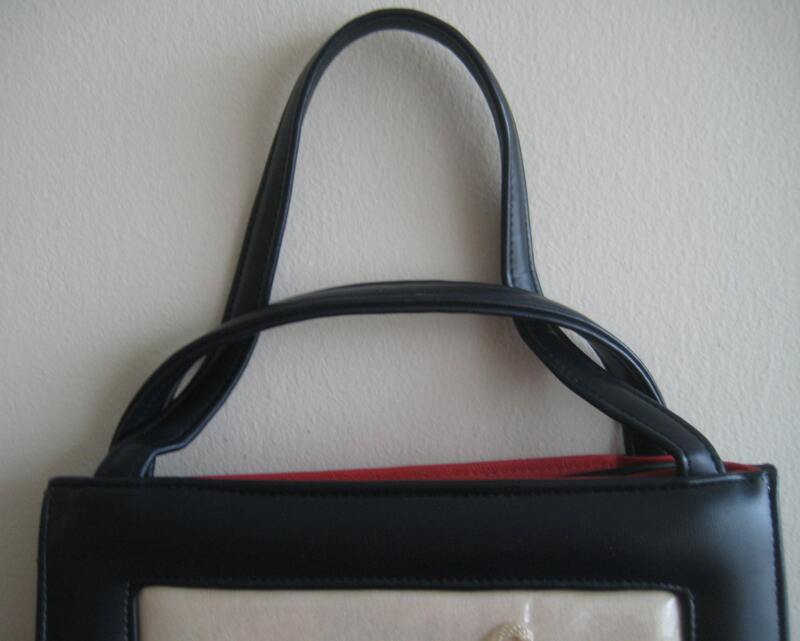 The longer handle folds under the shorter handle for closing and carrying. 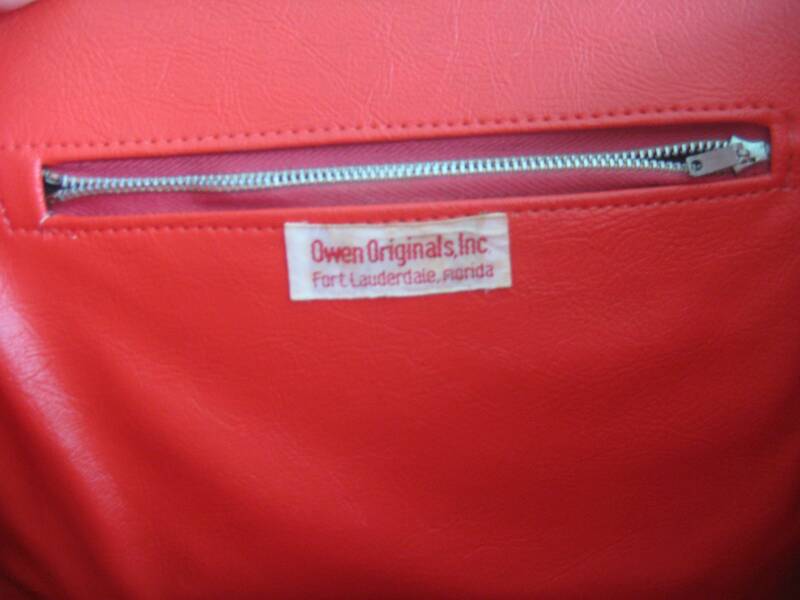 Cool red roomy vinyl interior with one side zippered pocket and one patch pocket and Owen Originals label. 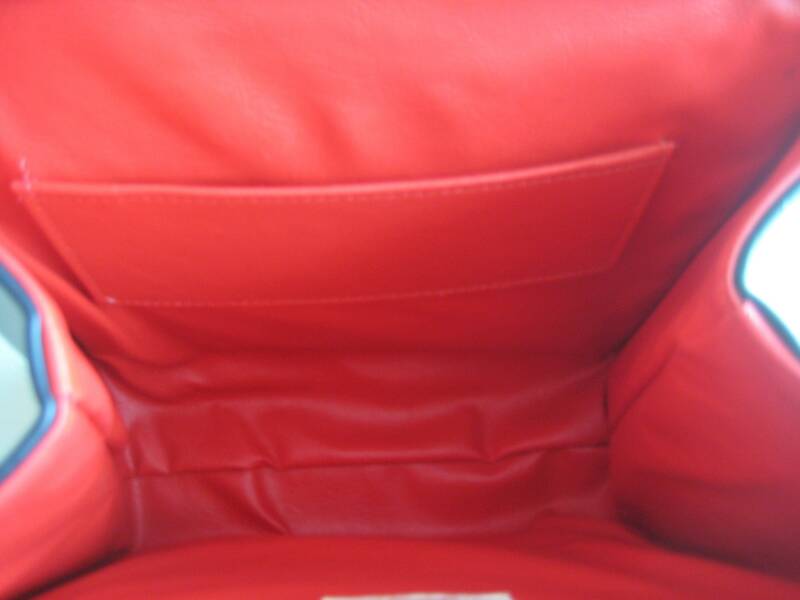 Like-new condition! Metal grommet footings. Dimensions: 11 inches long x 10 inches tall x 4 inches wide on the bottom.